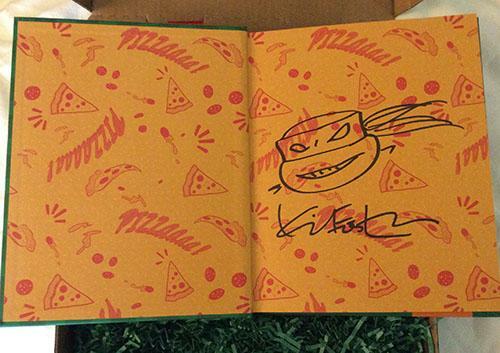 Okay, I'm heading out to have pizza with Kevin Eastman <------ not a joke. Now all you need is a turtle! Congrats on being one of the first 25 for the cookbook! 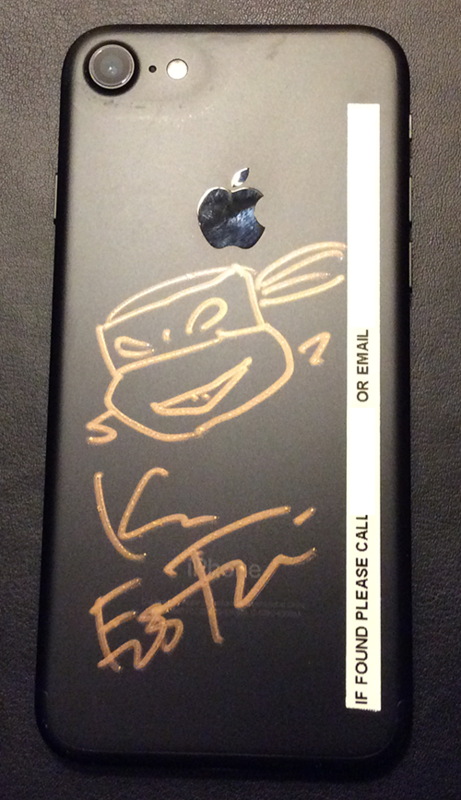 Kevin Eastman just signed my iPhone with a turtle head. What a fantastic party! Kevin is one of the most humble guys I've met. How did you even hear about the promotion? 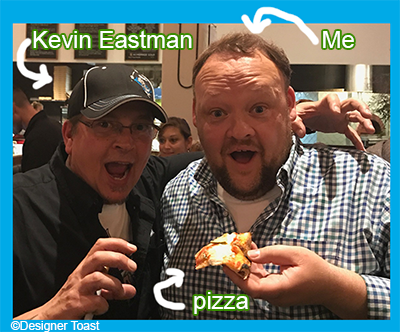 A friend of mine told me Eastman was doing a signing and the first 25 people in line got to go to a private pizza party with him later. I was at my hotel when he called and I got there as fast as I could and ended up being the 21st person in line. Got my iPhone signed with a turtle head. Signed with a Turtle head sketch by Kevin Eastman. 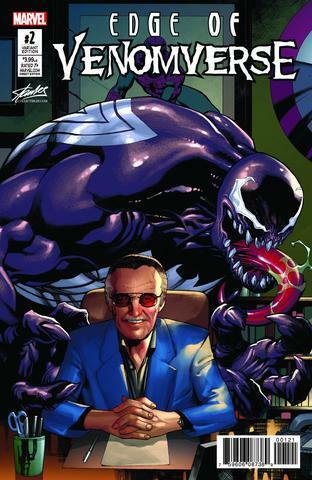 I have one of these personalized with a sketch by Eastman. It was very cool getting to hang out with him and he is among one of most humble guys in this business. It'd be great to see everyone be as gracious and appreciative as him. 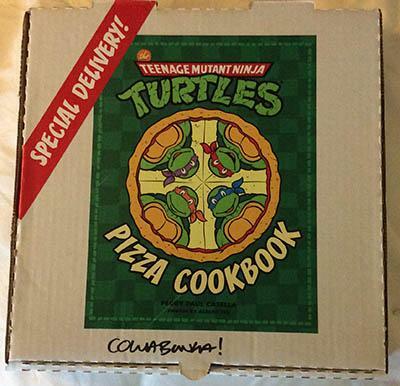 An actual pizza recipe book with TMNT throughout. Comes in a pizza box! Fun book all around! 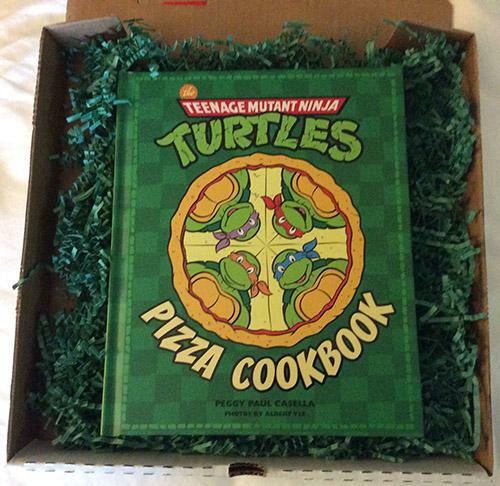 x 1 Pizza book/box! Thanks! 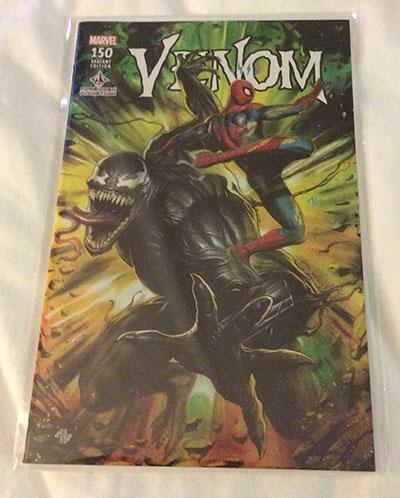 For info, a CGC 8.0 sold this month for $535.00, a raw NM copy sold on eBay for nearly $670.00. If this doesn't sell today, I'm going to sub it. I normally would've had more, but I'm just taking it easy this trip instead of spending every second chasing stuff. Royce you get me for the Harley Quinn. ?